Salt Spring Island is the jewel of the Canadian Gulf Islands, located off the west coast of British Columbia between the metropolis of Vancouver and the Lower Mainland and the charm and beauty of Victoria and Vancouver Island. With a year round population of over 10,000 people, Salt Spring Island contains all the amenities for visitors and residents alike, in a rural setting noted for its natural beauty and Mediterranean microclimate. Access to the island is easy with three BC Ferry Terminals serving the island. 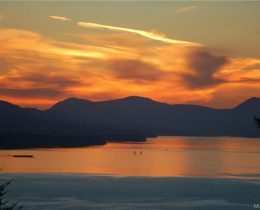 One from Swartz Bay and Crofton on Vancouver Island and one from the lower mainland out of Tsawwassen or you can fly by float plane via Harbour Air or Sea Air directly from Downtown Vancouver or the South Terminal at the airport in Richmond. Salt Spring Island has over 130 associations, clubs, groups or societies from walking clubs and swimming pool to bridge clubs. There is something for everyone. There are 3 elementary, 1 middle and 1 high school plus alternative schools. We have Lady Minto Hospital acute and extended care and numerous other health care facilities. The Island economy is very diverse with employment in many different areas. We have excellent artisans, alarge farming community, construction and trade experts, teachers, BC Ferries employment, restaurants, retail stores, lumber yards, bed and breakfasts, hotels, several marinas, musicians and much more. Myles Wilson has made his home on Salt Spring Island since 1980 and been a professional Realtor since 1991. Throughout his real estate career, Myles has consistently placed among the top producers in the office and on the island. Myles knows real estate and he knows Salt Spring Island. Once you find your dream home or property, Myles can put you in touch with the bankers, lawyers, construction people or local government agencies required to make your dream a reality. If you don't find exactly what you are seeking on Salt Spring, Myles can refer you to his contacts on Pender, Mayne, Saturna and Galiano Islands and in the Cowichan Valley. 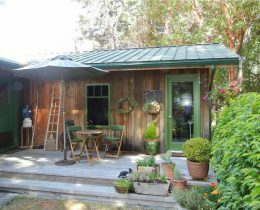 This eco-friendly Post and Beam home radiates warmth & artistic flair throughout-that hard to define Salt Spring charm.The 3 bedroom plus office home is highlighted by its craftsman design and surprisingly spacious interior. Large windows keep you connected to the natural environment outside. 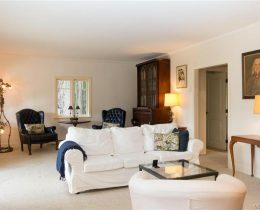 A modest-sized living room with built-in seating is ideal for intimate gatherings and the vaulted open woodpaneled family room upstairs makes for easy family living. In-floor radiant hot water heat and a crossfire masonry heater with built in oven keep you warm and toasty through the wet season. Sited for maximum privacy on a predominantly level forested five acres with dramatic ocean views and Vancouver Island in one direction, a mountain view to Mount Erskine Park in the other One of the best warm water beaches on the Island is a short hop away and your own park is right outside your back door. Zoned for a guest cottage. Historic Oceanview Home by Vesuvius Bay - While away those summer days on the lovely covered porch on the first level or the large south-facing oceanview deck off the main level. Three bedroom, two bath vintage home with freshly painted exterior has a flexible floor plan allowing for separate living on both levels. Easy access from either level to the surrounding gardens where you can enjoy a 16x9 covered arbor patio. Vesuvius Bay is a much sought after location with a strong neighbourhood community. Walk to the best sand beach & swimming on the Island and enjoy ice cream and great coffee at the very popular local café on your walk home. Just down the street is great fish and chips restaurant plus the government dock to tie up your boat - and it's a great spot to jump off the pilings into the ocean there! This location and its accompanying lifestyle make this a very desirable property. While worth taking a look!